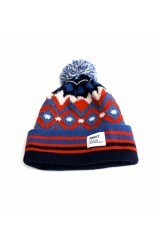 Here is a new addition to The Dudes clothing brand. 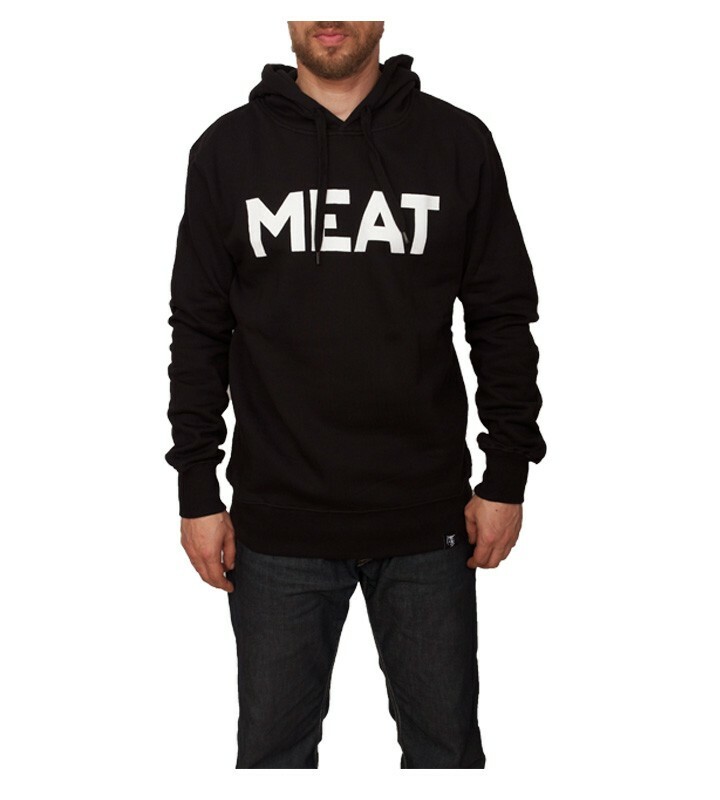 This the hoody style sweater, it comes in black with bold writing on the front chest in white quoting "MEAT". 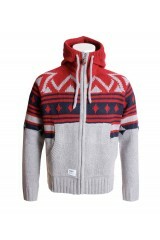 This hooded jumper has fine ribbed cuffs & hem waistband with a toggle style hood, it carries the dudes Icon logo label on the front bottom waistband & the usual inside neck badge, this hoodie fits as a slim fit style. Wash instructions: machine wash inside out at 40c with like colours, do not tumble dry, iron on reverse on a medium heat without steam.